The ghastliest potion in history – in colour. Pig pills. Bath bubbles. Simply whopping. Have you ever mixed a horrid potion in the garden or the playground? 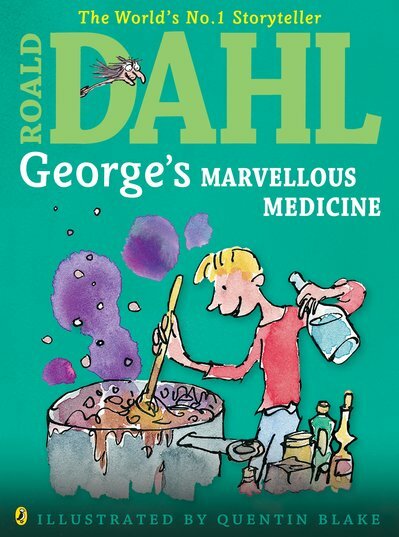 Now one little boy, George, is making the yuckiest potion of all. It’s for his granny: a slug-crunching bully who is always threatening him. So George gives her a dose of his own special medicine. But what on Earth will it do? Hmmm: Granny is sizzling. She’s swizzling. And now she’s shooting through the roof… Quentin Blake’s colour pictures plus Roald Dahl’s funny story: it’s a magical mix. It is a good book and it is quite funny for me and i really like the characters.